Vampire Pinata. 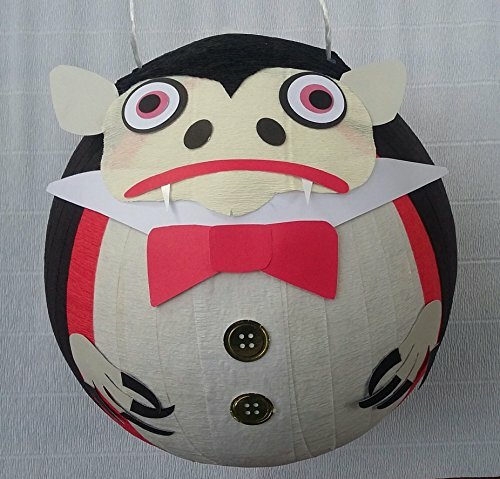 Count Dracula Pinata. This is a traditional hit vampire piñata made with recycled newspaper and paper mache. It is about 11 inches high and wide and holds 3 to 5 pounds of treats (not included). The piñata is ready to ship in 72 hours or less, shipping time could take one week or more, please contact us if your party is less then 10 days out. Thanks!